Opera Mini "saves consumers $27.4 billion a year on data charges"
A new report from Opera suggests that users of it’s Opera Mini mobile browsing client are saving more than $2.2 billion each month on their mobile data charges with US and Nigerian citizens benefitting the most from the client’s bandwidth saving compression technology. The findings are detailed in Opera’s monthly State of the Mobile Web report which compiles the top global trends affecting the mobile Web. Opera’s research has found that US consumers could save an average of $141 each month with Nigerian users saving $44 over the same period if they were to use Opera Mini, a client that reduces the size of web pages by up to 90% before they are served to the end user. According to the report, Opera Mini now boasts over 71.2 million users, a 7.1% increase from August 2010 and a 100% rise from the year previous. Those 71 million users viewed over 36.9 billion pages between them, a 9% rise from August, an increase of 147.2% from September 2009. Perhaps the most interesting figure is how much bandwidth Opera saved mobile operators worldwide. Although Opera Mini users generated over 535 million MB of data, without Opera’s compression technology, its users would have generated over 4.9 petabytes of data in September 2010 alone. Mobile Opera use has grown in the EU too; page views have increased by 58.4%, unique users increased by 10.3% and data transferred was up 61%. Users in the Spain and Germany constituted the top growth areas, and Google was the top ranked site amongst the top ten EU countries using Opera Mini. Opera users in the EU prefer Nokia and Sony Ericsson handsets, 67 of the 100 handsets listed were those from the Finnish mobile giant. The iPhone was listed in all of the top 10 countries and was top in seven of them. The report will make interesting reading for mobile operators. 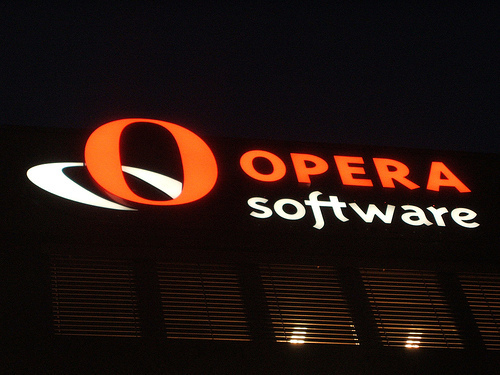 If Opera is able to save providers distributing 90% of its normal web-browsing bandwidth, it’s entirely possible operators could start approaching Opera and bundling its software on their new handsets. Consumers on data-limited tariffs or pay-as-you-go plans stand to benefit the most from Opera’s technology, saving them money by simply choosing a different browser. 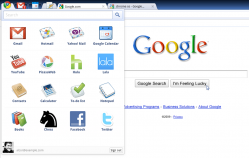 Opera Mini is available on a number of different platforms and can be downloaded via the Opera site.